Quick, spot the similarity: yogurt, sauerkraut, and pickles. If you said “tangy,” you weren’t wrong, but they’re all tangy for the same reason: they’re all probiotic foods. And probiotic foods don’t just taste good; they’re also loaded with health benefits. So here’s an overview of why they’re so special, what the health benefits are, and how you can start adding more to your plate. To put it very simply, probiotic foods are foods that contain live and active bacterial cultures. “Bacteria” get a pretty bad rap when it comes to food, since most of the time we’re thinking up ways to get rid of the bad ones, like salmonella or E. Coli. But the bacteria in probiotic foods are actually good for you: these are the “good bugs” that you want in your gut (more on this below). Probiotic foods also have another benefit thanks to the process of fermentation. During fermentation, carbohydrates in the food are broken down into acids by various kinds of probiotic bacteria and/or yeast. For example, in yogurt, the milk sugar (lactose) is broken down into lactic acid. This doesn’t just change the taste of the food; it also makes the food easier to digest and breaks down some carbohydrates that might otherwise cause digestive symptoms. A food can be fermented without being probiotic, if the bacteria that caused this reaction are killed before the food makes it onto your plate. This is actually quite common. For example, if the food is pasteurized at any point, the pasteurization process will kill all the bacteria (it leaves the acids intact, though, so the taste doesn’t change). But other times, the bacteria are left intact – those foods are called probiotic. First and foremost, probiotic foods are excellent for maintaining healthy gut flora. You already know how important your gut flora are for just about everything: if you want healthy digestion, clear skin, metabolic health, a generally good mood, easier weight loss, or pretty much anything else, pampering your gut flora should be at the top of your priorities list. The “good bugs” in probiotic foods are some of the very same bacteria that populate a healthy gut, so when you eat these foods, it’s an infusion of healthy flora right where they need to be. Dairy is definitely a “gray area” – on the one hand, it’s a whole food, and it is full of essential minerals, healthy fats, and quality animal protein. On the other hand, plenty of people don’t do well with dairy at all, mostly because they’re lactose intolerant (they can’t digest the sugar in the milk). If lactose intolerance is your problem, though, it’s worth at least trying probiotic or fermented dairy foods to see if they’re OK. Fermented dairy products like yogurt and kefir are actually much easier to digest than milk, because the bacteria destroy all the lactose by fermenting it into lactic acid. If you’re allergic to dairy protein, this won’t help you, but if it’s just the lactose, then choosing probiotic, fermented dairy products is a very tasty workaround. Probiotic supplements are an alternative way to get probiotics in, but they’re not perfect. Specifically, the bacteria are all too easy to kill. If your probiotic had to sit out on a store shelf for long periods of time, or if it got transported in a hot truck with no refrigeration, or treated carelessly during storage and distribution somewhere, or otherwise wasn’t handled well, it’s very possible that you’re really just taking an expensive placebo. There’s no such risk with probiotic foods, especially if you make them yourself, because if they had no bacteria, they wouldn’t ferment in the first place. You can be sure that the bacteria are actually there, because you watched them transform ordinary cabbage into delicious sauerkraut. It’s also worth mentioning that homemade probiotic foods are typically much cheaper than supplements, especially if you’re getting the best supplements. So for many people, they might be the only affordable avenue to all the benefits of probiotics. That doesn’t make probiotic supplements bad, especially if you know how to pick the good ones. It just means that the whole-foods version may be better if it’s available to you. This review goes over all the health benefits of kimchi specifically. 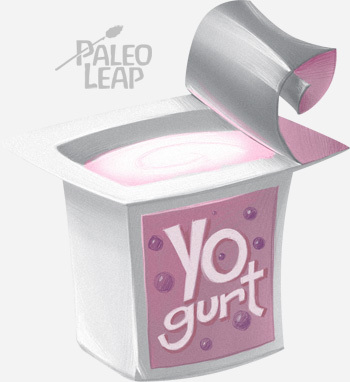 This study found that probiotic yogurt significantly decreased various markers of inflammation. In this study, a probiotic yogurt reduced HbA1c and TNF-alpha levels in Type 2 diabetics (translation: it improved blood sugar levels and decreased inflammation). In this study, probiotic yogurt reduced the number of respiratory tract infections in swimmers. Some of this is probably really about the gut flora, but it’s always nice to see studies with measurable health outcomes that real people actually care about, not just the vague sense that there’s a happier population of bacteria somewhere in your intestines. Who Shouldn’t Eat Probiotic Foods? As fantastic as probiotic foods are for most people, they’re not totally right for everyone. Specifically, people with Small Intestinal Bacterial Overgrowth (SIBO) often find that probiotics are very difficult to handle. If this is an issue for you, then trying to force it and just “push through” probably isn’t going to help. Instead, try starting very slowly, and gradually increasing your fermented food intake as your gut starts to heal. By starting slowly and working up to it, many people end up being able to tolerate quite a bit. Ready to get started with probiotic foods? First of all, it’s time to decide whether you want to make your own or buy them pre-made. Making your own is actually very easy and much cheaper than buying them. It doesn’t require any special equipment, but it does require some waiting – usually 1 week to a month while it ferments. Here are some recipes to get you started. Yogurt/kefir (if you do dairy): you’ll probably be fine with anything. Yogurt and kefir is pasteurized before it hits the shelf, but then probiotic bacteria are re-introduced, so it’s a probiotic food by the time it gets to you. 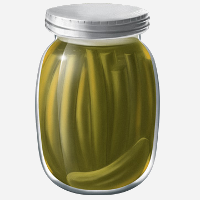 Pickles, sauerkraut, or other vegetables: these are much more likely to be pasteurized. If they’re sold out on the shelf at room temperature, they definitely have no bacteria in them – they might be tasty, but the health benefits of the probiotics are gone. 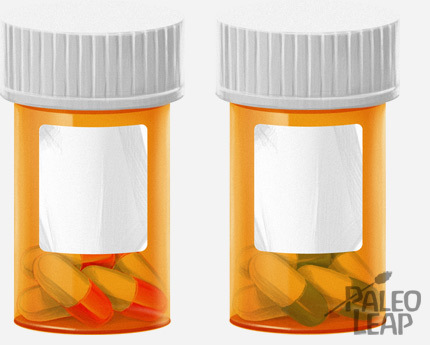 Look for a container labeled “live and active cultures” (or something similar) and sold in the refrigerator section. Few store-bought brands actually contain live probiotic bacteria, and the ones that do tend to advertise it proudly, so you should be able to tell from reading the label. Kombucha: it’s very rare to find kombucha that isn’t probiotic; almost any bottle you pick up will be fine. Once you’ve got your probiotic food, you can simply eat it as a relish on the side of anything – try sauerkraut over sausages, a bowl of chilled kimchi on the side of your salad, or a few fermented pickles on a burger. Just try a taste and consider what you’d like to eat with it: there’s no wrong way to do it.